Here is a great example of a one-handed Seoi Nage that this is usually performed against same stance opponents. This version is right to right as the opponent attempts to get a high right handed grip Chun drops underneath of the right-hand, cross grips his opponents lapel and on the left hand pretends to fend off the opponent’s right arm as the right arm comes in strong and catches it. If you look carefully, you will see that after he catches his opponent’s arm, he releases the grip and the arm acts more as a guide to the direction of the throw. the energy is not forward but slightly diagonal. This is another great technique of the Koreans based on the element of surprise. 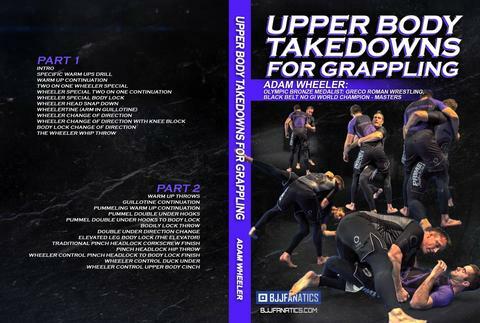 This Jiu Jitsu Techniques video is taken from his new instructional series “Upper Body Takedowns.” on BJJ Fanatics. The post The Art Of The Korean One Handed Seoi Nage appeared first on Bjj Eastern Europe.